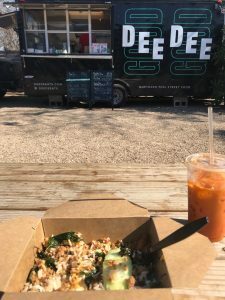 Dee Dee is a regular part of my “I love food on the east side dinner rotation,” so I recently stopped by to speak with owners Justin and Lakana Trubiana about the new location, their story, and of course, the food. I’m a regular paying customer, but I thank Dee Dee for covering the cost of my meal for the purposes of this review. All opinions are my own. Like many of us (read: me), Justin Trubiana moved to New York City after college to make his way down the “traditional and responsible” corporate path. But when the market crashed, he decided it was time for a major life change. Trubiana moved to Thailand to teach English. There, in the city of Nong Khai, he met his future wife, Lakana. What was supposed to be a three-month volunteer trip for Trubiana became five years of living abroad, absorbing the culture, and eating at his favorite restaurant in the city, Dee Dee, a few times a week. Eventually, the Trubianas found their way to Austin, Justin Trubiana’s hometown, and were married. The idea for a food trailer came quickly. “We realized there was no country Thai food; it didn’t exist here,” Trubiana told me. Deciding on a name for the trailer was easy, and the Trubianas opened Dee Dee in March 2016. With so many dining options, it’s a trailer-eat-trailer world here in Austin. It takes something special to stand out, and the Dee Dee team has a unique advantage that can’t be duplicated: Lakana Trubiana. 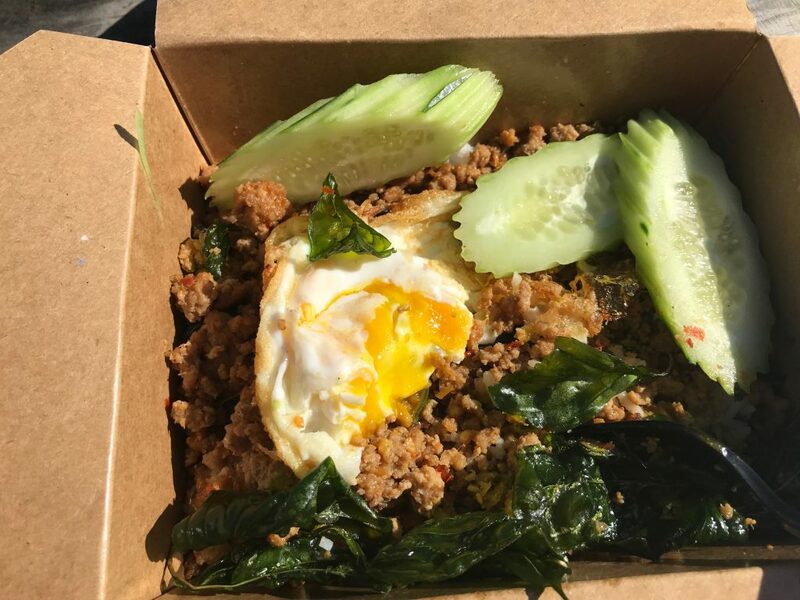 During my recent visit, I had Pad Kapow, the food trailer’s biggest seller. The first thing I noticed when it arrived was the size and weight of it. This dish is enormous. It contains minced pork with fried egg and cucumber, on top of jasmine rice with basil. I learned that you can find this dish throughout Thailand, but Dee Dee’s style is native to the Isan countryside. There was so much flavor in every bite and the ingredients balanced each other perfectly. Something else I appreciate about Dee Dee: they are generous with meat portions. I had pork in every bite. Even for big eaters like myself, one entree here is enough to satisfy. You know what’s great to balance spice? Thai iced tea. Sweet and creamy, I recommend it as a treat to go along with any meal. In Thailand, each street vendor serves one dish. They make that one dish day in and day out. And through such specialization, they perfect the meal. Similarly, Dee Dee’s menu options are minimal, and this is intentional. The Trubianas want to make sure everything is of the highest quality. All of the offerings have become specialties. Next time, I’ll have to get the Moo Ping pork skewers. Marinated for two days, this labor-intensive creation is generally only available Wednesday through Friday. I’m told it’s a must-try. For those looking for a spicier entree, the Laab is Justin Trubiana’s favorite. Apparently the spice builds gradually as you eat. The Pad Kaprow was near my limit in terms of spiciness, so I know I’m not ready yet. The other menu options stick with the overall theme: traditional, unique, delicious. For a snack or dessert, try the sweet and salty mango sticky rice, a customer favorite. The Dee Dee team is thrilled with their new home. A bar on the other side of the lot will be opening soon, making it possible to get a drink before, after, or during your meal. A courtyard, fencing, and lighting are also on the way. 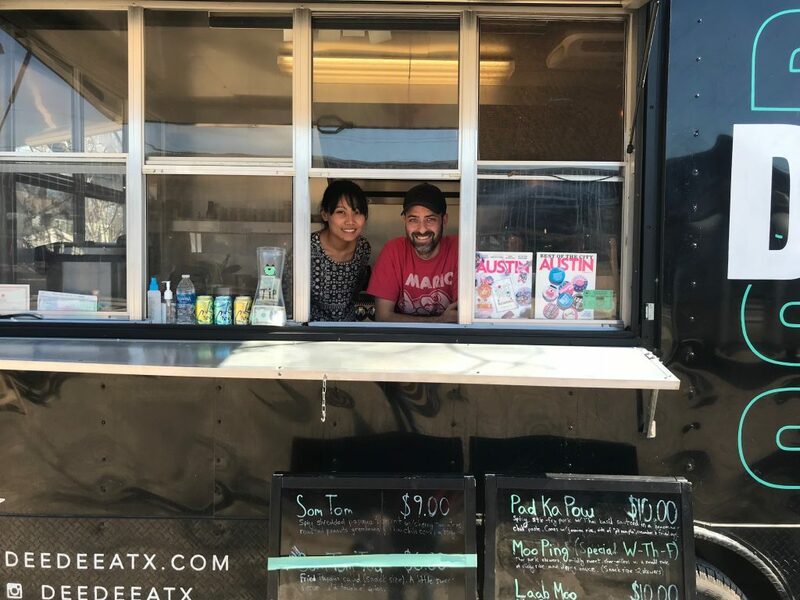 Dee Dee will be sharing the east Austin lot with another well-known food truck, Taco Flats. 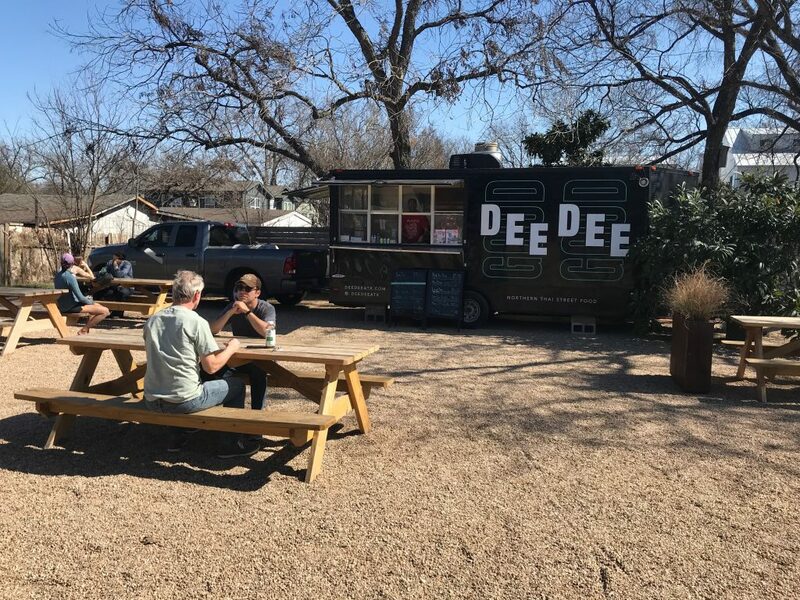 From New York to Thailand to Austin, the story of Dee Dee is still unfolding. “We see this as the beginning. It’s not the full dream or vision for Dee Dee,” Justin Trubiana said. A new location, perfected meals, and two owners with a fascinating story to tell. Come by to taste for yourself. As Justin Trubiana said, “This is about sharing the experience and food that we loved in Thailand.” I’m grateful they are doing so. Sometimes even a market crash can have its silver lining. What are your favorite spicy food spots in Austin?